Just as the name suggests, the game is based on Tic Tac Toe, but with a SAPIEN twist. 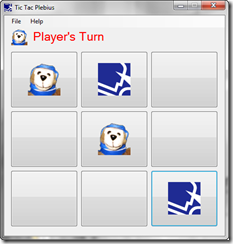 For those of you who are not familiar with Plebius, he is our beloved Super Scripting Monkey mascot. Because I created the game using PrimalForms 2011, it means the underlining code is completely written in PowerShell. Tic Tac Plebius provides a good example on how to create a multi-form project and demonstrates advanced Windows Forms techniques. 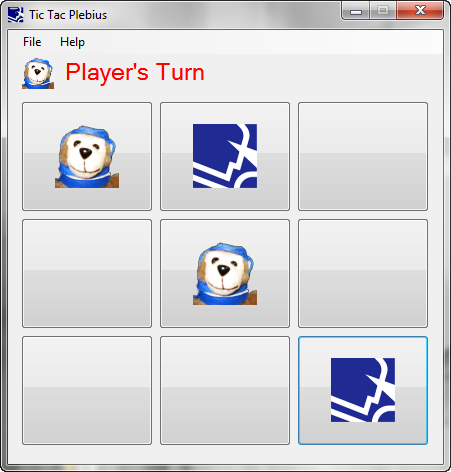 You can download the Tic Tac Plebius game and its project files from http://www.sapien.com/downloads/ under the Fun Stuff directory. Great script, I’ve never seen the use of Tag before, I can definitely see how it would be helpful in some of my scripts. Thanks for the post! Thank you for the feedback. I updated the files to resolve the icon issue.